As we enter the final phase of our course, you may have noticed that you have been doing more and more independent work. One of our course goals has been to learn how to learn independ ently. Our culminating activity in this endeavor will involve your undertaking a complete unit independently. Of course, I am available to assist if you get stuck, but would like you to attack the unit on your own, with an understanding of what your learning goals are for this portion of the course. Based on the goals provided, the following requirements and resources are available to you. You are expected to set your own pace and schedule/ration your workload accordingly, based on the understanding that all requirements must be met and turned in at the beginning of class on March 29, the day of the magnetism exam. All items are to be turned in simultaneously, stapled in a packet or placed in a folder with your name on it, including the attached cover page. 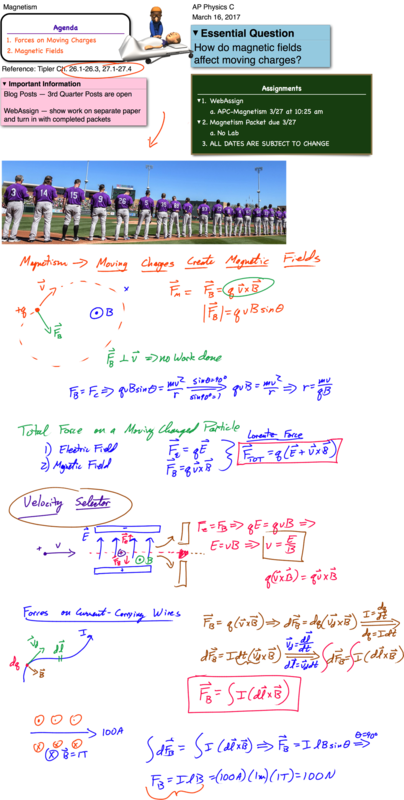 Watch MIT 8.02 Physics Lectures (Walter Lewin), available from iTunes U, web search, as well as DVD in class. 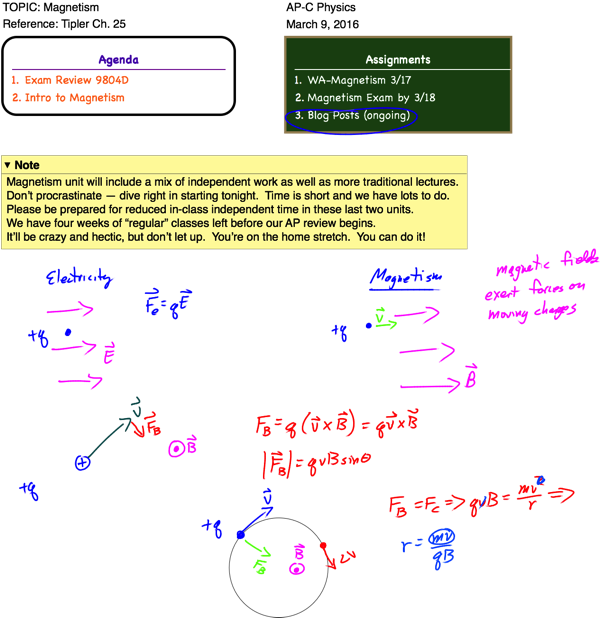 Complete WebAssign: APC-Magnetism (turn in hard copy of your solutions). Complete Lab: Magnetic Field in a Slinky (formal lab report as a group). 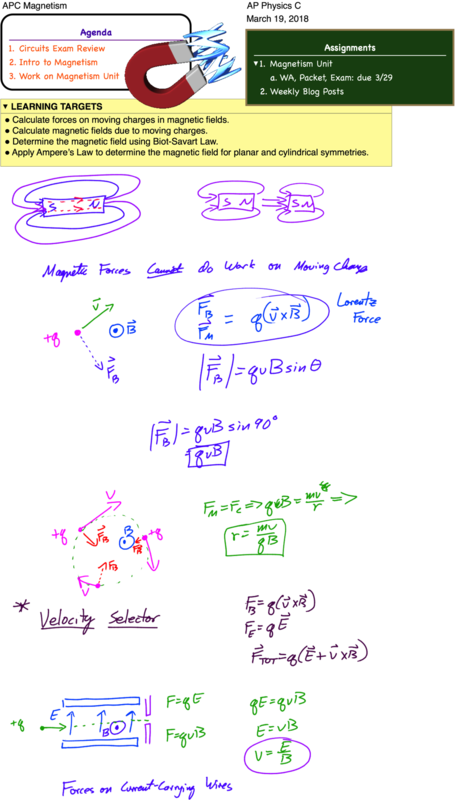 As I was looking over the available note handouts for both our magnetism and electromagnetism units, I wasn’t really happy with any of the materials as a “one-stop, everything-you-need” resource to refer back to for the unit. So, I spent a few days making up some new ones. Check ’em out!